Shah also said that he was sure that the Shiv Sena will be with the BJP in the next Lok Sabha elections. BJP president Amit Shah on Wednesday made light of the opposition 'mahagathbandhan' (grand alliance), calling it an illusion and expressed confidence that the BJP will retain power after the 2019 Lok Sabha polls. Speaking at the Republic Summit here, Shah also said he was sure that the Shiv Sena will be with the BJP in the next Lok Sabha elections. Talks are on (with them), he added. "The reality of the opposition 'mahagathbandhan' is different. It (the opposition alliance) doesn't exist and is a 'bhranti' (illusion)," Shah said. "The mahagathbandhan does not exist anywhere. We have fought against all of them in 2014 and defeated them to form the government. They are all regional leaders, they can't help each other," the BJP president said. 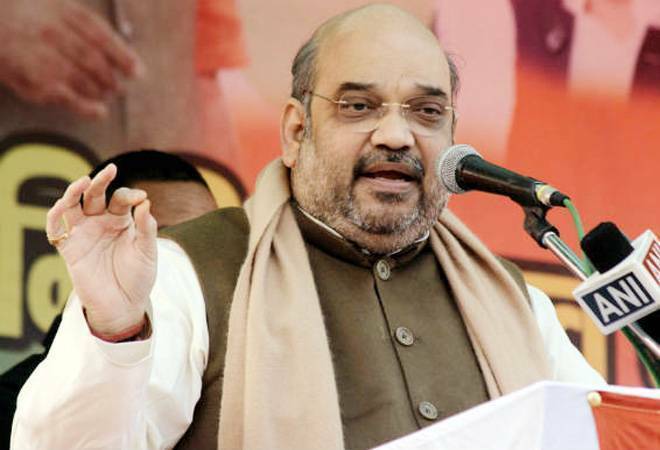 Shah said the BJP will gain in West Bengal, North-East and Odisha in 2019. "The issues of elections are: in five years how have we ensured national security and defeated corruption. We have provided toilets in eight crore homes and electricity in 2.5 crore homes," Shah said. "Not only for the BJP, but it is also necessary for the country that a strong govt comes to power," the BJP president said. The election results in Rajasthan, Madhya Pradesh and Chhattisgarh were definitely not favourable for BJP, but it is not right to link them with the 2019 Lok Sabha polls, he said. State polls can't be linked to Lok Sabha poll results as both elections are fought on separate issues, Shah said. "It is our duty to work for the people and convince them, but if the mandate is against us we accept that too," he said. "I am not against analysis, but the elections are fought on different issues. The issues on the ground are different," he added. "In 2014, BJP had the government in six states, now we have it in 16 states. So tell me who will win the 2019 elections," the BJP president said. "We accept the people's mandate (in Rajasthan, Madhya Pradesh and Chhattisgarh). We will introspect on the poll results," he said. The BJP chief said it does not matter who is pitted against Narendra Modi in the 2019 polls (as prime ministerial aspirant). "We are going ahead on the basis of our strength and not on the basis of someone's weakness," he added.